Hey! 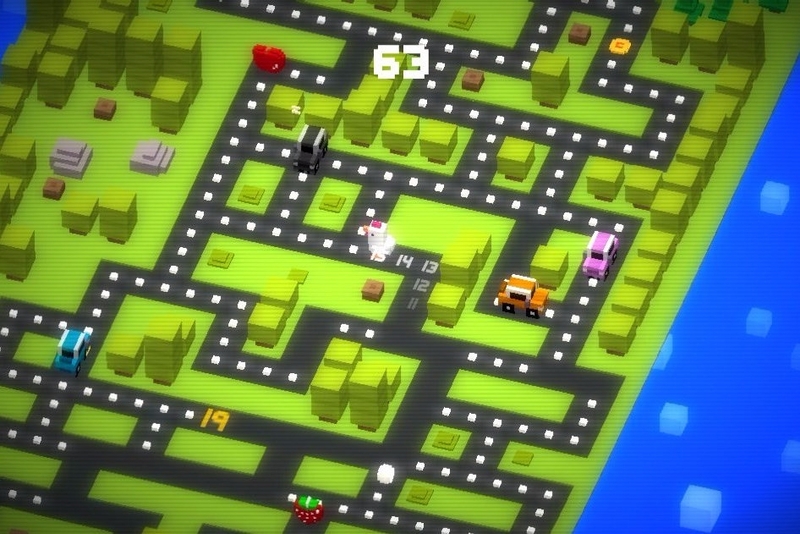 You got Crossy Road in my Pac-Man 256! Pac-Man 256 has consistently been one of my favorite mobile games since its release, and its latest update is definitely worth checking out, especially since the two games have crossed over within it. 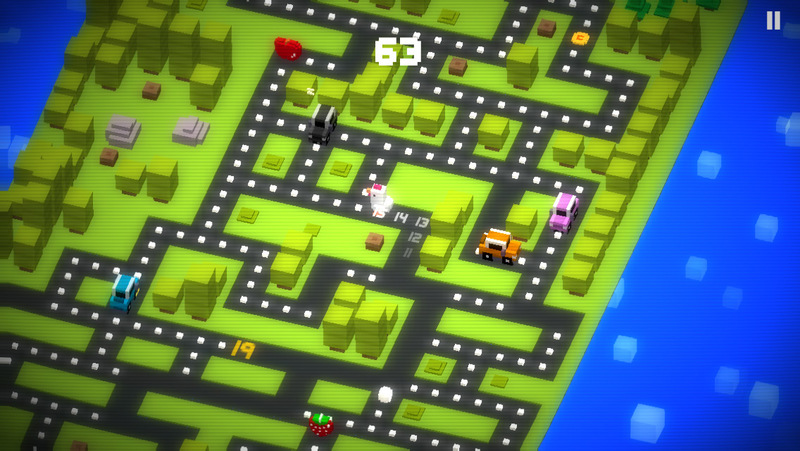 Crossy Chicken will gobble up dots and have to stay away from the trucks and cars in her way rather than Pac-Man, colored just like the ghosts themselves. It's absolutely adorable. Oh, and Crossy can shoot laser beams. How else would she get away from the trucks and vehicles meaning to crush her? This update is free, but you can pay a dollar to get another different skin for the game called the Grid. It's a fun futuristic-looking effect for Pac-Man 256 that calls forth memories of Pac-Man Championship Edition DX. Give it a try! And if you haven't downloaded Pac-Man 256, there's something very wrong with you.